From April 5th to September 4th 2016, Exhibitionism: The Rolling Stones will be taking place at the Saatchi Gallery in London. 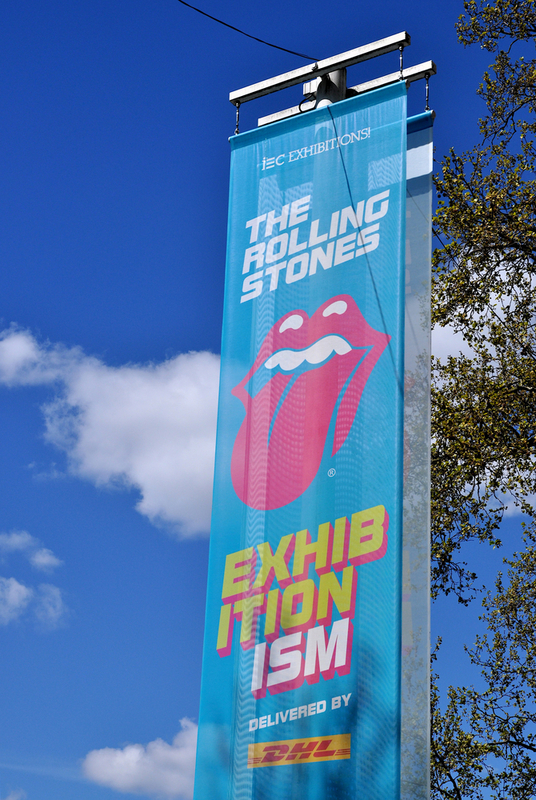 This is the first ever international exhibition on The Rolling Stones to take place – having been organised by Australian company iEC, alongside Mick Jagger, Keith Richards, Charlie Watts and Ronnie Wood. The exhibition will take over both floors of the Saatchi Gallery and will include nine thematic galleries. It will combine over 500 original Stones artefacts, with striking cinematic and interactive technologies illustrating the most comprehensive and immersive insight into the band’s fascinating fifty-year history ever to be seen. In addition, visitors can enjoy everything from never-before-seen dressing room and backstage paraphernalia to rare instruments, including original stage designs, iconic costumes, rare audio tracks and video footage. Furthermore, the exhibition will showcase personal diaries, poster and album cover artwork and unique wraparound cinematic experiences that celebrate every aspect of the careers of the band members. This promises to be a truly unique experience, and is expected to draw in fans from around the world. Collaborations and work by a vast array of artists, designers, musicians and writers will also be included – from Andy Warhol and Alexander McQueen to Tom Stoppard and Martin Scorsese. Due to its popularity, the exhibition will be very busy, so anyone wanting to get in on this once-in-a-lifetime experience are encouraged to book tickets in advance.